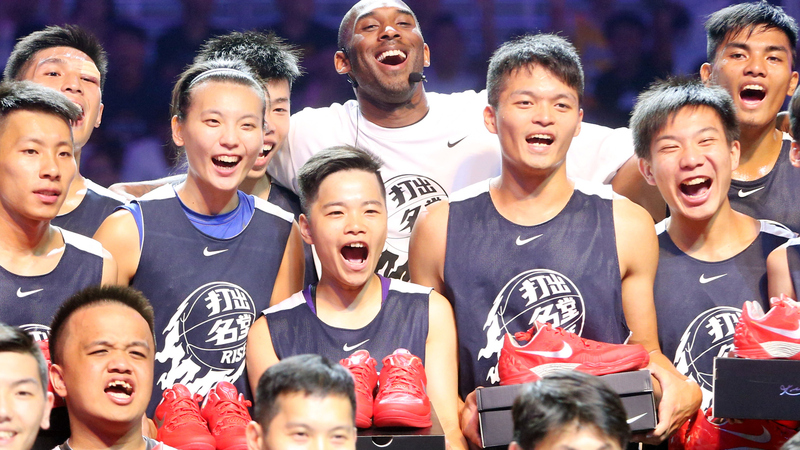 This summer has seen numerous NBA stars head to China for Nike's RISE tour, and Los Angeles Lakers future Hall of Famer Kobe Bryant was among those traveling overseas. He spent some time in China at the beginning of August, and this week, the NBA released highlights from Bryant's time in an arena in Shanghai where he gave some color commentary from half court as a game played out in front of him, even crediting one of the players with a "Kobe move." Bryant told the assembled crowd that every time he comes to Shanghai, they make him feel like he's in Game 7 at Staples Center. For some, that might mean they're nervous. With Bryant, it more likely means that he's in his element, ready to eviscerate an opponent and lift the Larry O'Brien trophy. So it's a high compliment indeed.